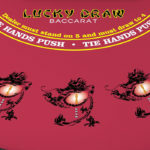 Lucky Draw Baccarat is a variation of baccarat played against the dealer. The object of the game is to beat the dealer’s hand by having a point total closest to 9. 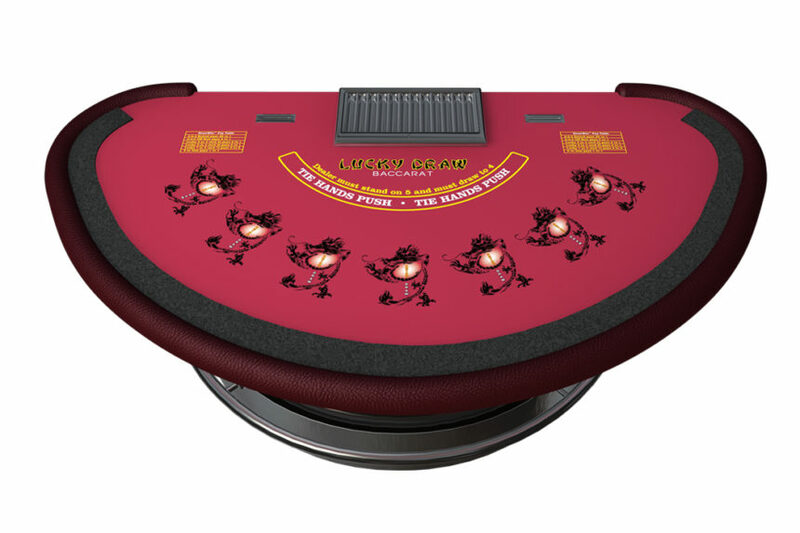 The game uses the same point system as baccarat. Tens and face cards are worth 0 points, aces are worth 1 point, and cards 2 through 9 are scored at face value. The point total of a hand is the last digit of the sum of its cards. The game is played using eight standard 52-card decks. 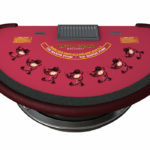 To begin, the player makes an Enter-Bet. The player may also make an optional Block Bonus™ bet. The Dealer deals two cards face up to the player. He deals to himself, one card face up and one card face down. 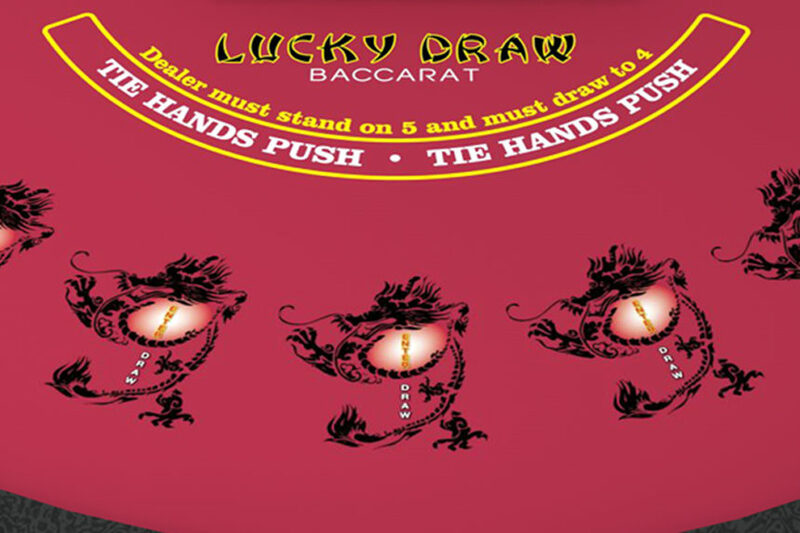 The player may stand with his current hand or draw an additional card by making a Draw-Bet equal to his Enter-Bet. After all players have acted, the dealer reveals his hole card and draws an additional card if his two card total is 4 or less. The dealer must stand with five points or higher. The dealer compares his total to the player’s total. If the dealer’s total is higher than the player’s total, the player loses his Enter-Bet and Draw Bet (if made). If the dealer’s total is equal to the player’s total, the player’s Enter-Bet and Draw-Bet (if made) push. If the player’s total is higher than the dealer’s total, the player wins and is paid 1-to-1 on his Enter-Bet. 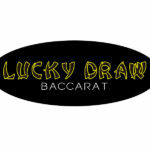 The Draw-Bet, if made, is paid according to the posted DrawWin™ Pay Table. 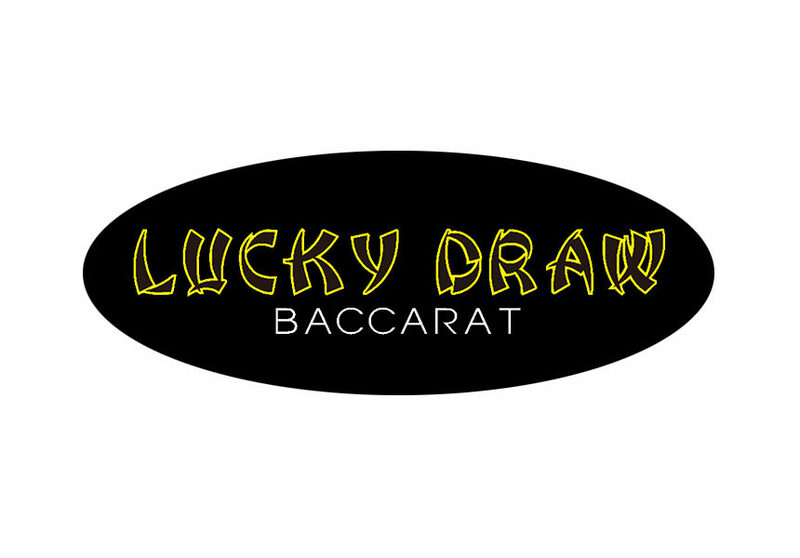 For more information including pay tables please download the Lucky Draw Baccarat How To Play Guide and Customer Information Sheet.